Whether you are trying to correct your alignment for proper tire wear or setup your car for improved handling these shims are the answer. Designed to fit between the rear stub axle and axle beam these shims will allow you to achieve the exact rear alignment settings you need. 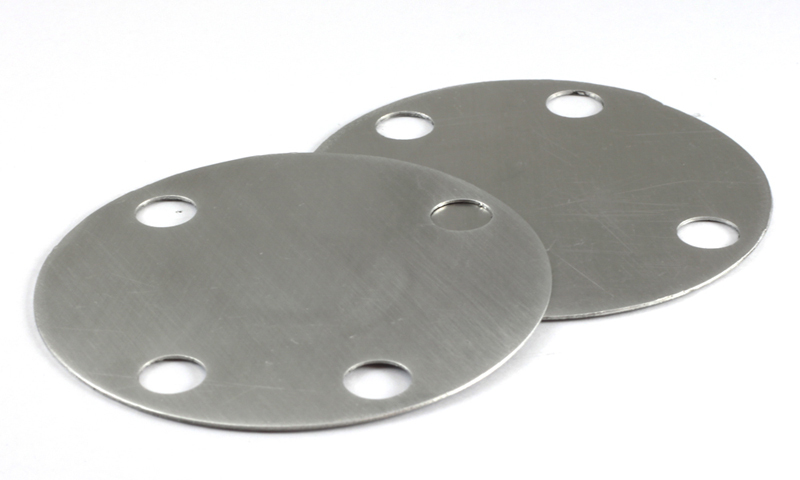 Manufactured from aluminum alloy these shims will not compress or deform like plastic shims, allowing your alignment settings to remain constant. We can cut the shims to any measurement you need, including having toe and camber changes on the same shim. If your car is lowered a large amount of change in camber will cause a change in toe, and should be accounted for by adjusting the toe angle. Each shim includes a pack of adjusting washers, to insure that you can realign your caliper after adding the shims. Upon ordering you just need to provide us with the desired alignment settings you need and your tire size, and within 5-10 days we will have your shims custom cut and mailed out to you with the measurements you requested. The maximum amount of change that can be made on one shim is 3 degrees. If for some reason you need more that that, you will need to order two separate shims and stack them on top of each other. If you know the desired shim sizes you need, please enter a 0 for the current settings. You order a shim and specify that your current alignment settings for the right rear are: -1* camber and 1/16" toe in but you would like to have: -1.5* camber and 1/16" toe out. Please specify inch or degrees for the unit of measure, otherwise degrees will be assumed. NOTE: These are a custom order item, and will ship approximately two weeks after ordering, due to being a custom item shims are not returnable.